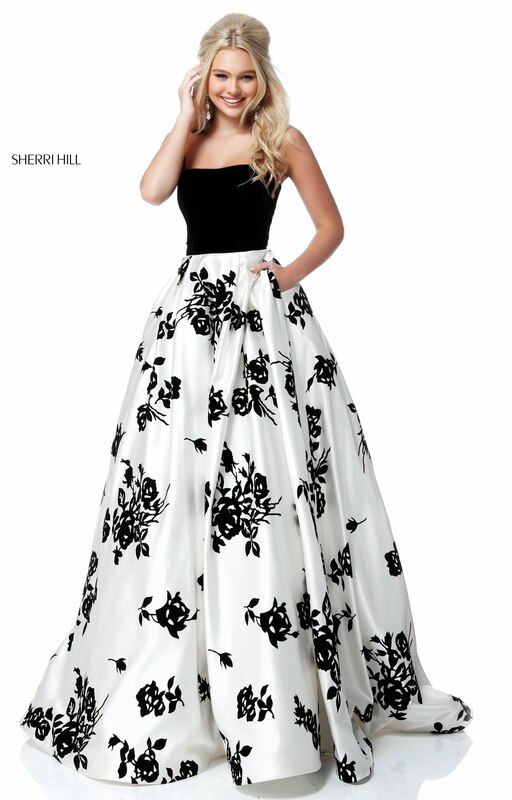 Make a grand entrance in Sherri Hill 51685! 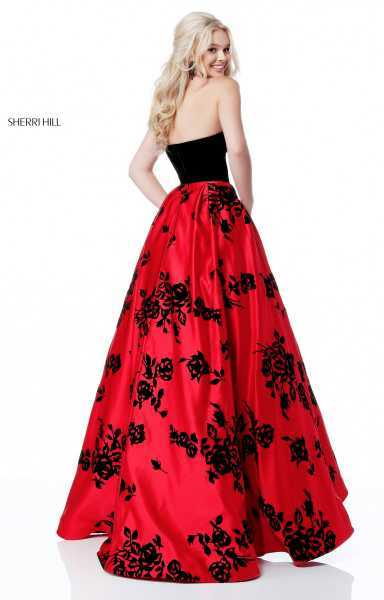 This elegant ball gown showcases a strapless velvet bodice over a long satin skirt. 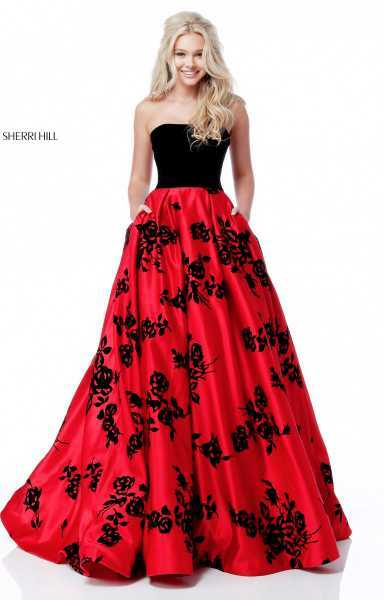 Velvet floral appliques are scattered throughout the skirt which gives it such a unique look. Complete with pockets for convenience.